Low profile form factor PCI Express RS422/RS485 card defining High Performance 250Mbytes/sec to 4GBytes/sec point-to-point Serial Bus. Supports DB9 male connectors and 128-byte deep FIFO per transmitter and receivers. Defines a high-performance, point-to-point serial bus at speeds of 250Mbytes/sec to 4GBytes/sec. Supports RS485 Auto Transceiver Turn Around by Unique Featured ATTATM Hardware. 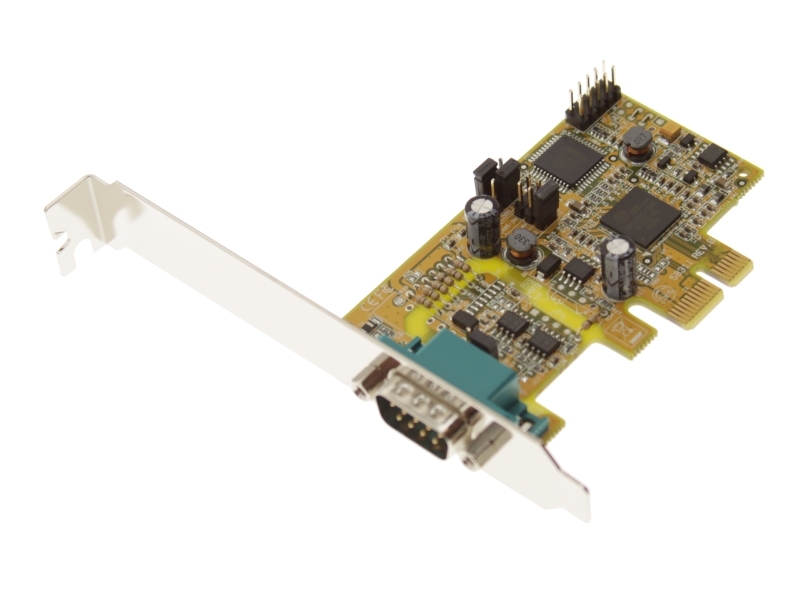 The SG-PCIE1S422485 1 Port PCI RS422 /485 Express adapter card has an architecture that defines a high-performance, point-to-point serial bus at speeds of 250Mbytes/sec to 4GBytes/sec. 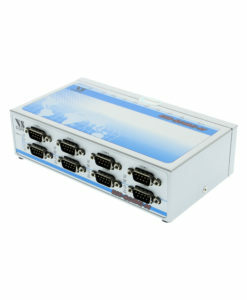 It is compatible with new and legacy RS422 /485 devices, also has capacity to support future speeds of 8GBytes/sec. Installation of the 1 Port PCI card is featuring its plug-and-play utility and drivers simply follow the instructions of Install Wizard for a complete addition to your system. The SG-PCIE1S422485 1 Port PCI Express Card provides the support to quickly adapt to new serial technologies without configuring I/O address, IRQ jumpers, DMA or others for device connection. The SG-PCIE1S422485 is an excellent solution for your expanding applications.